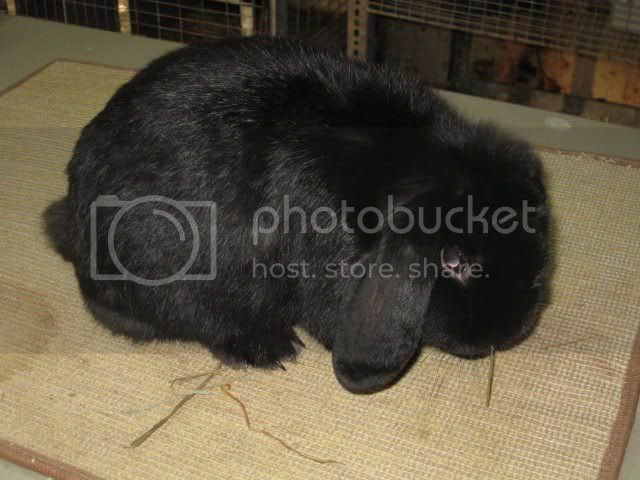 Paw Talk - Pet Forums > Other Pets > Rabbit Discussion > Introducing Peneloppy Jewel! This is my new Holland Lop, Peneloppy! Is that her current cage?? With the wire bottom?? I would line it with newspaper or pieces of tile to prevent foot problems and injury.. But She's such a cutie! How old is she?? She's a year and a half. I have a grass mat and litter pan available for her to get off the wire. At a year an a half she needs unlimited hay and 1/4 cup of pellets a day, which means you need to take the free feeder out. The wire bottom is really hard on their paws, and if she's litter trained there's no need to have it or the newspaper lining at all, you could cover it with cardboard or a piece of linoleum for a quick fix. You should also get her spayed if she isn't already, unfortunately cancer in rabbits is pretty much a definite unless you do. Does she have an extra pen to run around in or something? 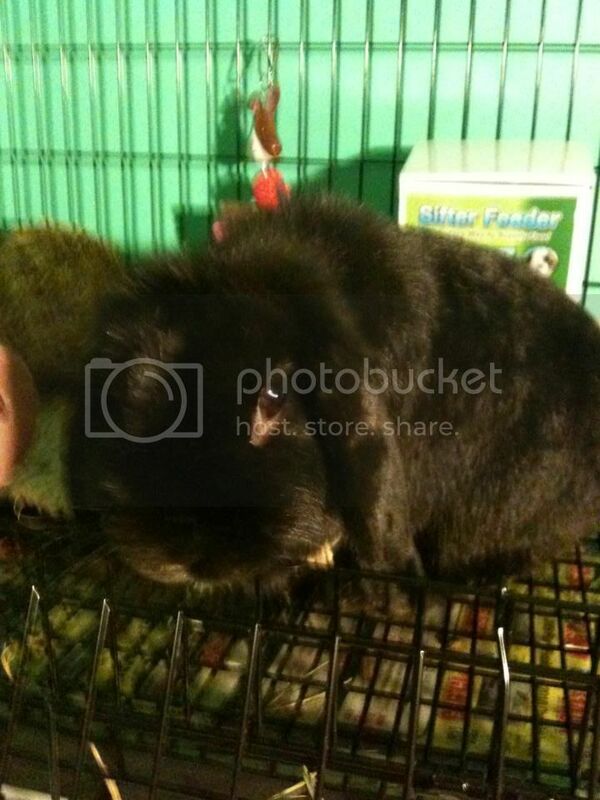 That cage is really too small for the bunny to be in. They're actually suppose to get 1/2 a cup of pellets a day and I only use that feeder because it sifts the dust out that's in the pellets, but I never fill it up. She's out all the time when I'm at home. And she has an appt to get spayed this Tuesday. It's 1/2 cup per 6lbs, she doesn't look nearly 6lbs. Thats odd, I don't have dust in my pellets, what brand are you using? That's what I thought too but my vet and the breeder told me 1/2 cup. It's oxbow basic bunny t. You know how there's crumbles in the bottom of the bag? That's what I mean by dust. They're giving her a long lasting pain injection after the spay. Thats what I use too! I use a measuring cup to get it out so I guess I've never dealt with the dust. I actually put one buns 1/4 cup in a Slimcats treat ball to make her forage a little more. They both get about 2 cups of salad at night too though, so pellets are more of a treat than a needed source of nutrition. Last edited by LolaLala; 11-02-2011 at 09:33 PM. 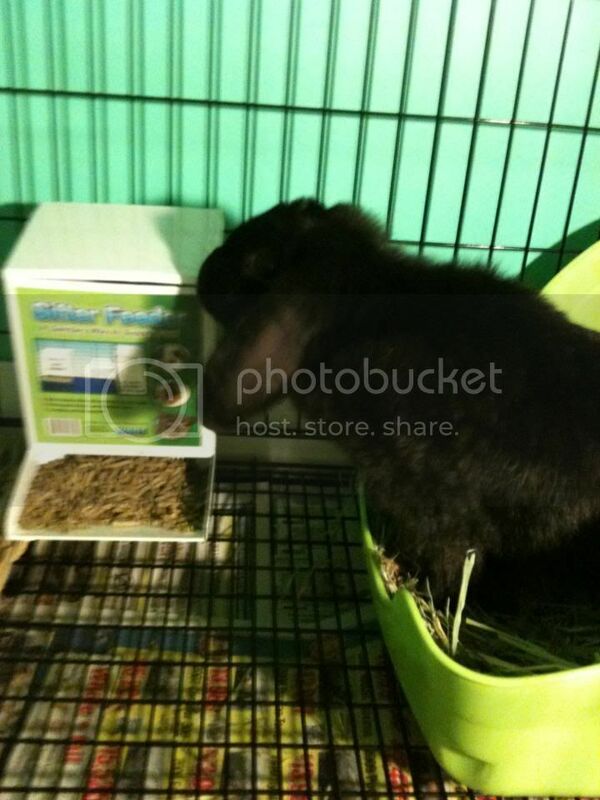 lol pellets are like a treat to my bunny too. She acts like she's starved half the time and I end up pouring the pellets on her head bc she can't wait to get at them!! If you give other foods like fresh greens and unlimited hay pellets aren't as important as most people think they are. Pellets where originally developed for rabbit breeders who required their rabbits to grow large quickly. Especially in the case of meat breeders, their main concern was not the long term health of the rabbits but instead it was getting them to grow to the desired size in as little time as possible. 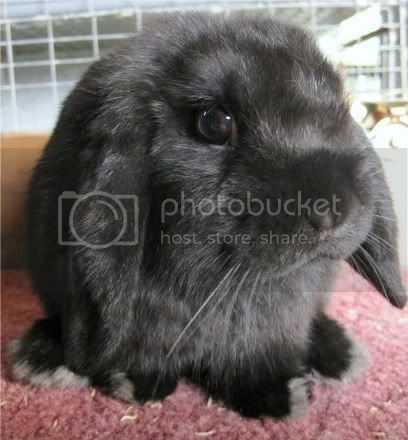 Many rabbit savvy vets are now recommending very limited amounts of pellets or even pellet free diets for pet rabbits. Your new bunny is adorable, btw. 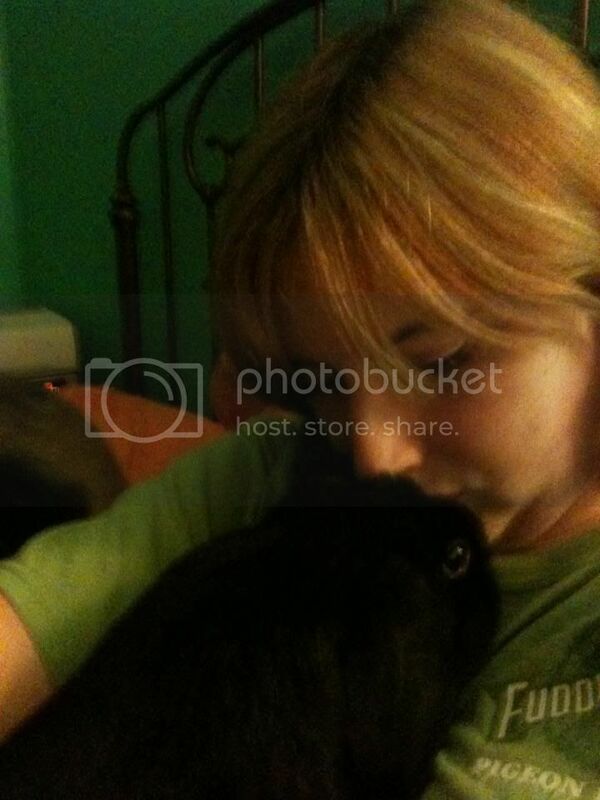 Holland lops are awesome Good luck with her spay!